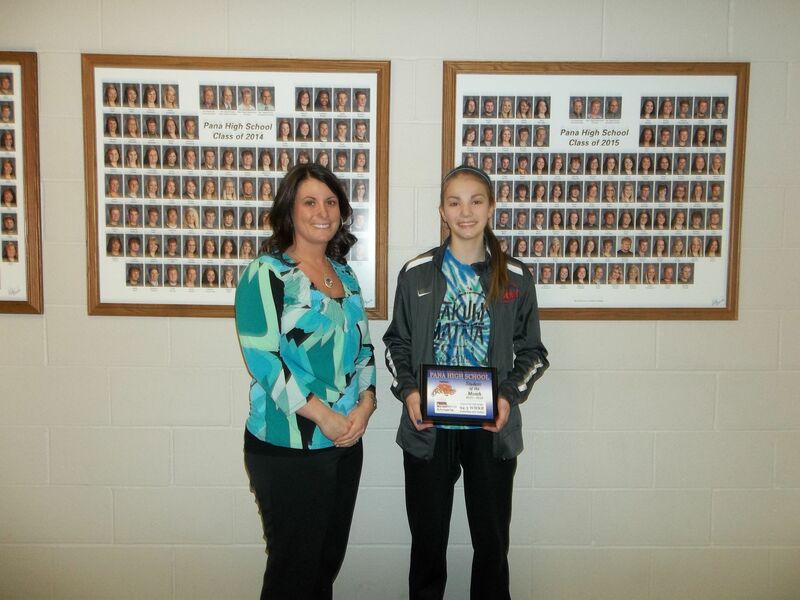 Genuine Country 94.3 WMKR and People’s Bank and Trust in Pana have announced their students of the month for March. The program recognizes one outstanding student from each of the four classes each month. The Genuine Country 94.3 WMKR and People’s Bank and Trust students of the month are senior Jacob Franklin, junior Dorothy Weddle, sophomore Claire Holthaus, and freshman Elizabeth Epley. Joanie Jones of People’s Bank and Trust in Pana was in attendance to give the students their plaques.